Calico Critters Hopscotch Twins are very different from each other. Hopper Hopscotch never tires of running around and can’t remain still for a second. His twin sister Honey is totally opposite. 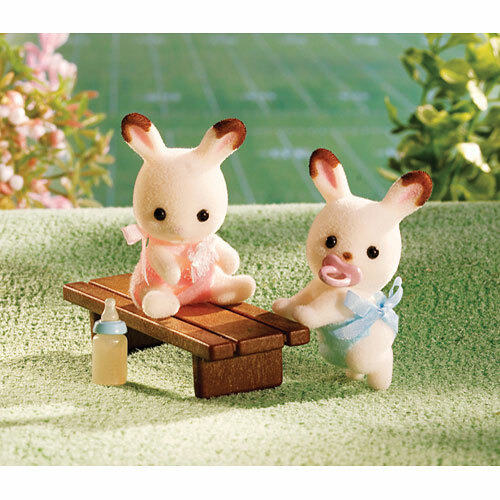 She loves to play quietly on the grass and can spend hours entertaining herself with flowers, birds and butterflies. The delight is in the detail! 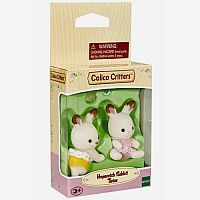 Calico Critters are itty-bitty 1"-3" flocked animals, fabric dressed and fully pose-able with jointed heads, legs, and arms. Ages 4 to 9 years. Measures approximately: 3.00 x 5.00 x 1.50 inches..